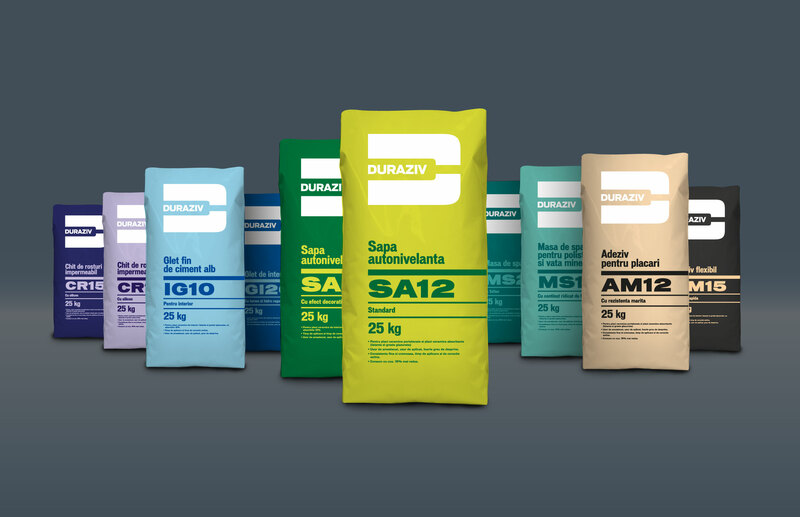 Naming and identity for a new, durable adhesive for construction, destined to propel it on a market very competitive and dominated by global players. 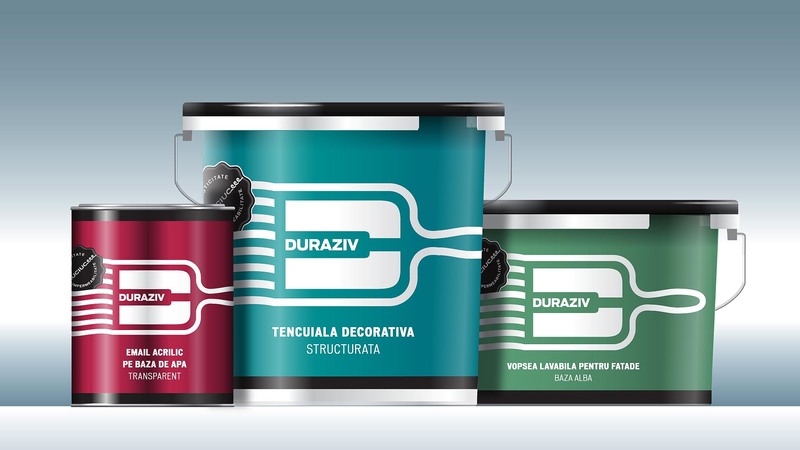 The coined name Duraziv™–coming from “durable” and “adhesive”–has the merit of being short, memorable and somehow “owning” the category. 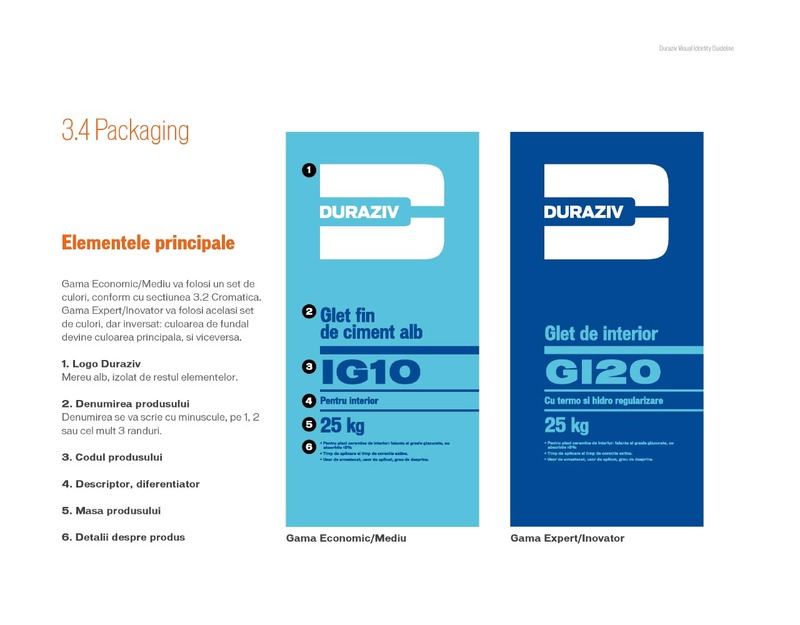 The visual identity design ensure a visible and reliable presence on the shelf and also enable clear line extension rules. 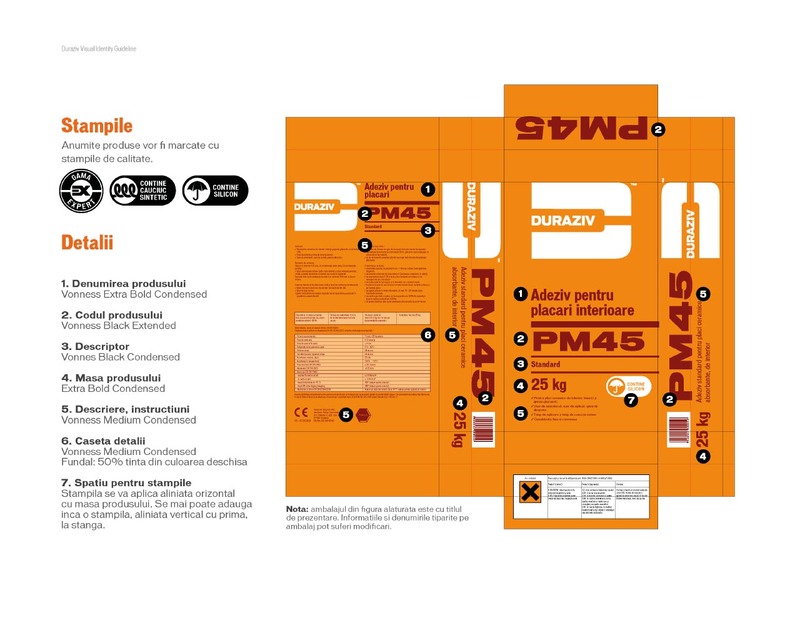 The packaging design is minimalist, with product information taking precedence over decoration. 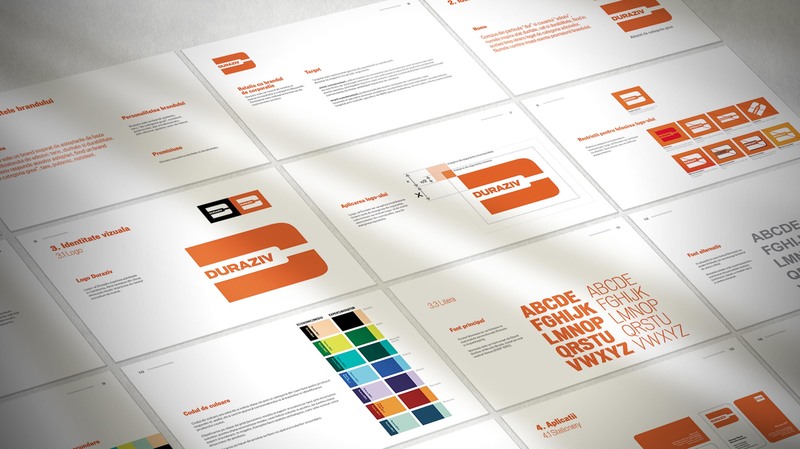 The visibility is given by the striking unicolour packages, with a range of colours employed for sub-category coding. A subtle twist on the main logo enabled the effortless extension into paints and lacquers under the same name and following the same packaging rules.